If we assume an exit distribution where over 60% of a fund’s investments are 0–2x their money, with the remainder falling somewhere between 2–5x, a “unicorn” type 10x+ outcome can put a venture fund into the desired 3x fund returns that puts them among the top performers in VC. Your 1–3 investments that “return the fund” and probably even more (the grand slam), is what will make or break you, while the other 2x-5x investments create additional alpha. To show how this works, let’s take the hottest new deep learning, autonomous vehicle startup built on the blockchain, XY.ai, as an example. XY.ai is raising a $2M seed round at a $10M post-money valuation (selling 20% of their company). You can take it a step further and assume that a $50M fund will most likely not be able to fill their pro-rata across every subsequent round, thus their position could get diluted (we’ll leave out the possibility of raising SPVs for pro-rata). If we assume 20% dilution over the lifetime of the investment, then the real return the fund number is $625M ($50M/.08). So in order to pass the RTF analysis, VC Fund A must believe that XY.ai will exit for at least $500M and more realistically $625M. Now let’s look at a larger fund model. VC Fund B is a $250M seed + series A fund investing $1M in XY.ai. In order to return the fund, VC Fund B has to believe that XY.ai will exit for $2.5B ($250M fund / 10% ownership). More likely than not, a fund of this size is investing for future ownership as well, so assume that they will not fall below 10% ownership at any time, and if things progress favorably, will own somewhere on average of an additional 5% of the company when all is said and done. Still, VC Fund B has to believe that XY.ai will exit for $1.66B ($250M/15%) in that increased ownership scenario. For more data of equity ownership at exits check out EquityZen’s Path to IPO. As an investor, the difference between a company exiting for $500M vs. $2.5B is not trivial. Less than 10% of all VC-backed exits in 2016 were $500M+, per CB Insights. Jet.com was the only US-based VC-backed tech company to exit for over $2.5B. As a founder, this trickles down to thinking about their potential investor’s philosophy. While some businesses are best built to exit in the hundreds of millions of dollars, larger funds could push startups through their natural inflection/exit points in order to go for broke and hit a grand slam that is very unlikely to occur. While the RTF analysis is a good barometer for investments, it is indeed just one data point in the larger diligence process. It is a quick way to gut check ownership and investment size, and also allows investors to think about how they will need to build their positions over time. But while this thought process is generally useful, like all things in startups, there are outliers. 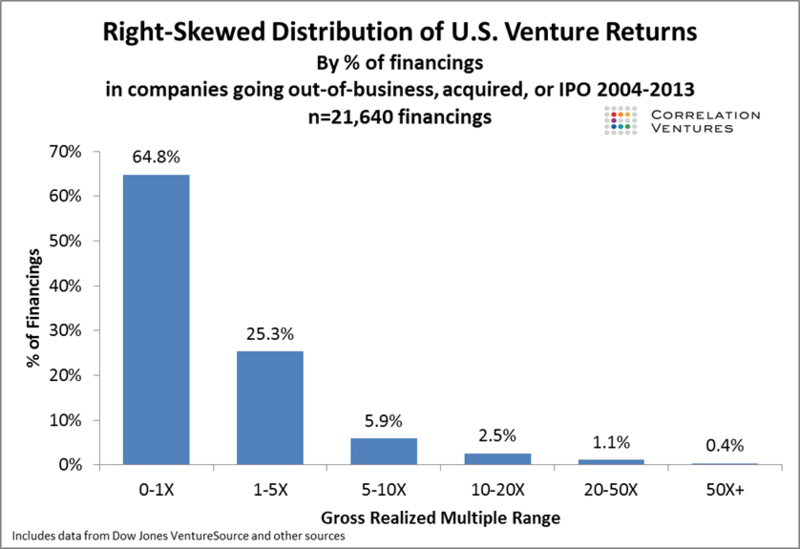 Which Venture Capital Firms Are Consistently In The Largest Tech Exits?